Thank you. I liked that green Wag, too. It’s on my list of “seller regrets”. Once it gets repainted, the emblems will go back on, too. I use it as a truck, and it is starting to show. jaber wrote: DAMN that really completes it. Thank you Jaber. Yeah, I’ll gets pics. I didn’t take pics of the process, I guess because I’m focused on the process, rather than documentation? There are a million hubcap tabs that were used throughout the years, and I’ll dig up some spares for pics, too. When I went to get the wheels, I brought along a hubcap to even see if it would cover the spaced needed, one thing it did not know for sure was whether or not the hubcap would clear the Dana 60 rear axle’s outer hub/flange- but luckily it did. I always like seeing pics of member's old rigs...makes me want to go through my shoeboxes of old FSJ snapshots. Did you have new springs built for your 66? What would you wager the load capacity is at? I'm just wondering because eventually I'd like to make my truck ride just a little better. The original owner of my truck beefed up both front and rear packs in order to carry a slide-in camper unit and I simply don't need the load carrying capacity that he did. On the other hand, I still use the truck as a truck occasionally and don't want to drastically disable its load carrying capability. 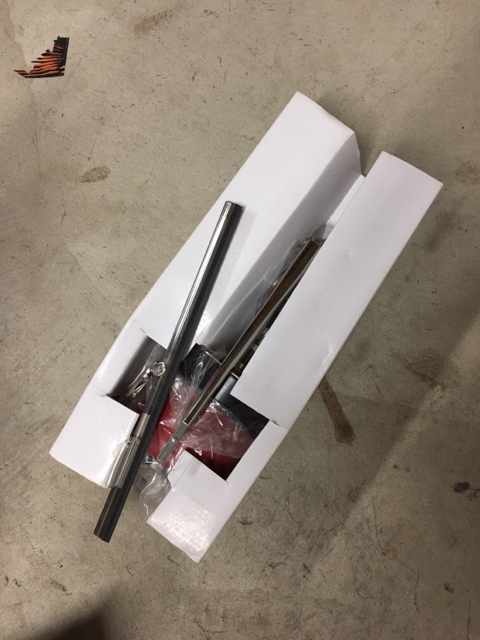 I'm sure a good spring shop would want to know how I intend on using the truck and could certainly recommend a spring package but I was curious what your experience was with yours, as a fellow FSJ owner. Last edited by 66stepside on Wed Aug 15, 2018 9:15 am, edited 1 time in total. 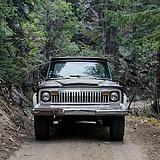 I wish I had pics of my 1st Wagoneer. 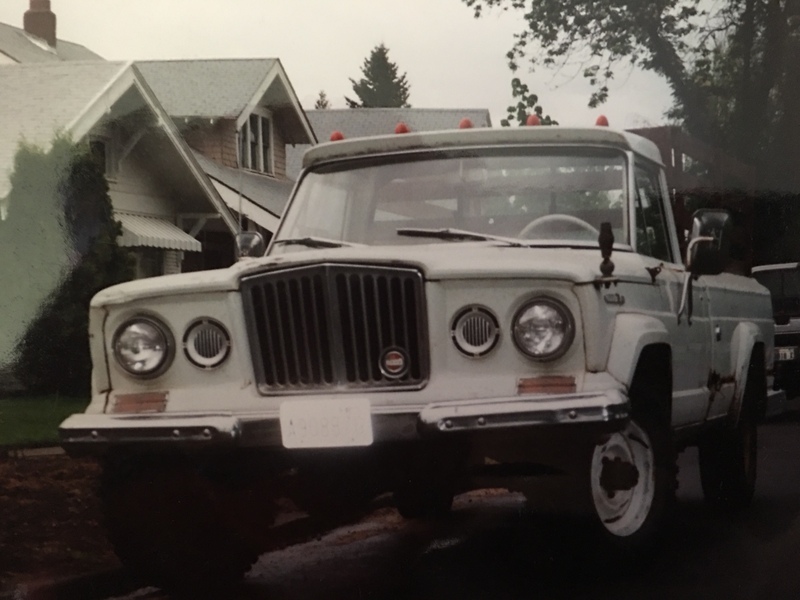 I have a lift on the 66, so the front springs are pretty stiff, BUT the rear spring are stock and sit on the blocks that came with the lift. They do just fine when carrying a heavy load most of the time. A few times I’ve bottomed out. I regret not using the J20 rear springs that came on the rig I used for the axles and 4spd. When I make the time, I’ll add springs to the rear and install an overload set up on it as well. I have a spare set of 6000 lb rear spring I pulled off the last truck I brought home- a real beefy pack of springs; I’ll use those. Most of my hauling these days is taking scrap metal to the recycling yard, or snagging parts here and there. 66stepside wrote: I regret not using the J20 rear springs that came on the rig I used for the axles and 4spd. I will remember this if I eventually pick up a J20 parts truck. My rear springs have so many leaves, it's incredible. My cheaper fix for now is to rebuild my bench with new foam. It's basically down to nothing on the driver's half and the springs in the seat are broken. 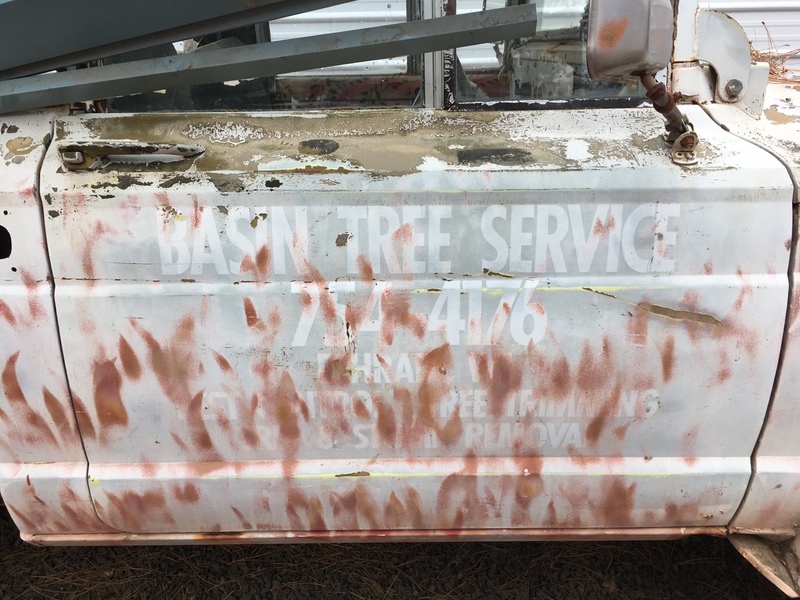 I may consider buckets but like the look of the bench in the truck. Thanks! 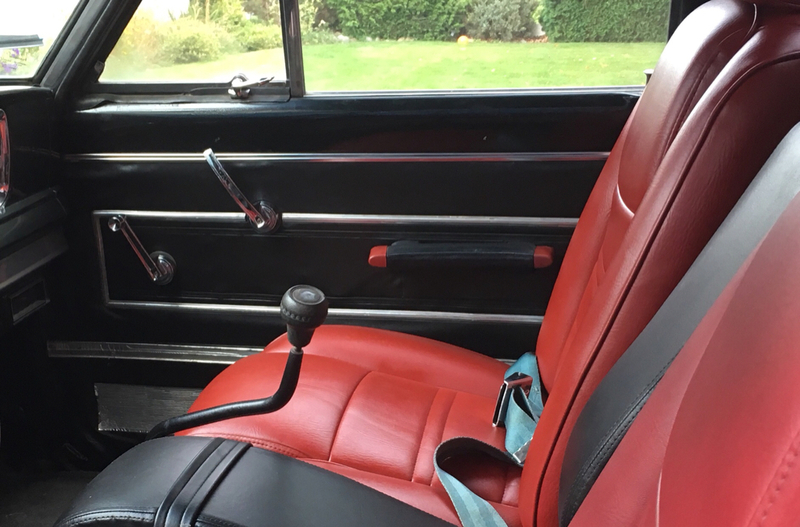 On the topic of the bench seat- when you go to put in new foam, you can also insert additional springs and metal supports to get a firmer seat and that means less wear and tear on the seat, too. 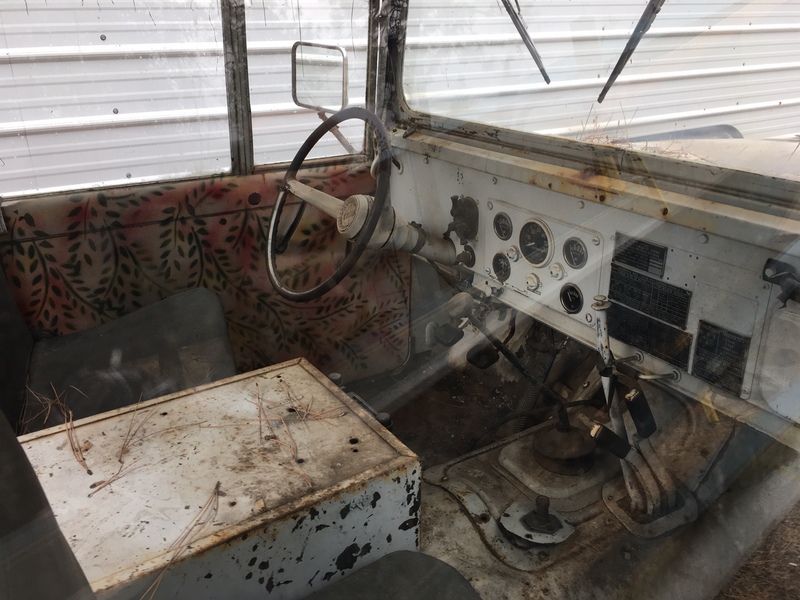 I had kept several bench seats over the years and tore them down to the springs, so if you have any spare bench seats, keep the springs/metal skeleton and use the middle, or passenger sides springs to reinforce the driver’s side as the passenger’s side usually fares better over time due to lack of use. Any upholstery shop can do the spring reinforcement if you have a spare bench seat. You can also practice doing it yourself on the old bench seat before you try it on the seat you want to keep. Ummmm. 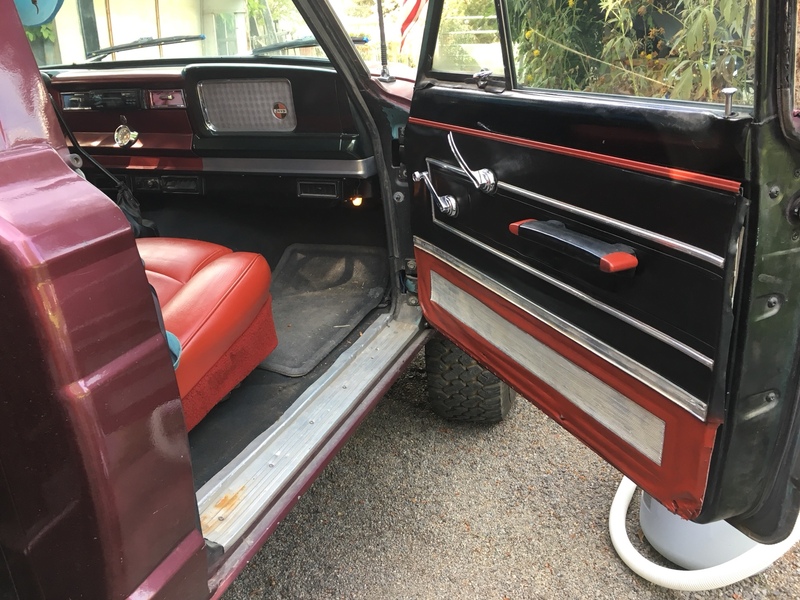 This is long over due, but the 1414C door panel shouldn’t be 2 tone. It’ll do for now I guess. Besides, for aesthetic appreciation, always a little time? I’ll end up changing it to all Black when I get to redo the carpet in the 60’s era period correct loop pattern- like the trim on the seats. At least the 1414C door handle and window regulator cleaned up nice to replace the 70’s era stuff. I’ll also tackle repainting the dash about that same time I go to replace the carpet. I’m going back to fix the other side. I like the look of those Kaiser-era armrests! 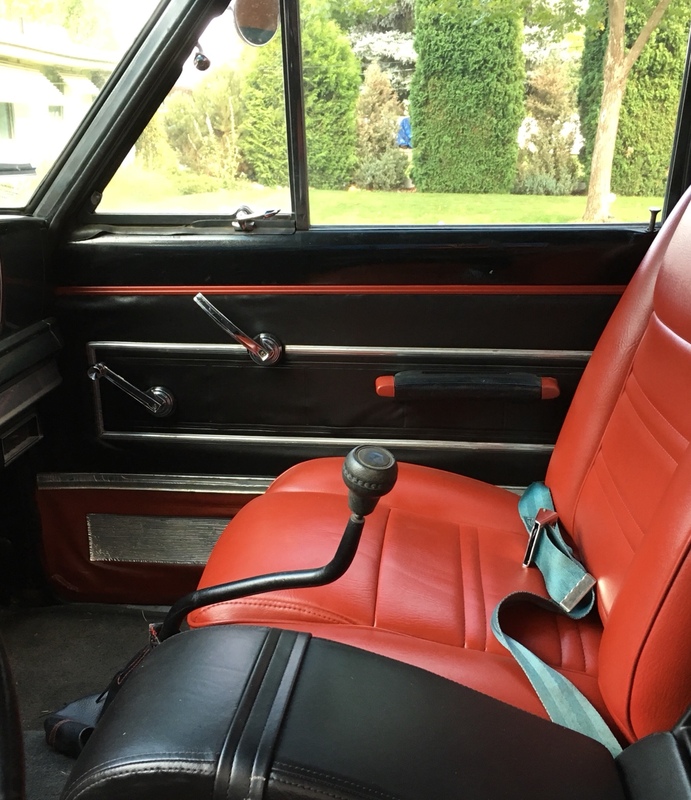 Are those red bucket seats re-upholstered FSJ seats? ...and thanks for the tip on seat springs, a few posts above this. 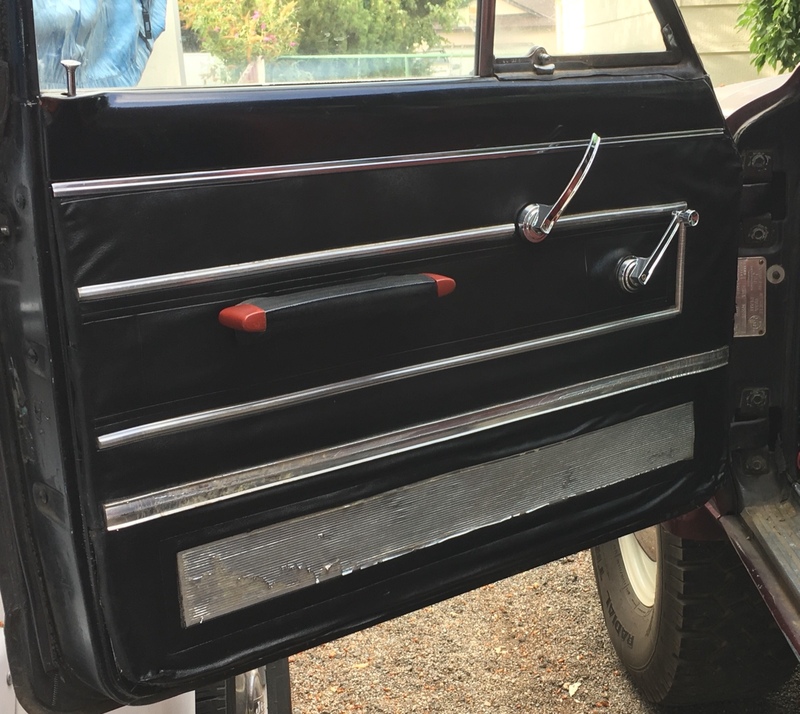 No, I don’t know what they came out of, or what manufacturer made them, but they’ve been welded correctly on the bottom to sit on a Super Wagoneer bucket seat bracket (they came from the super wagoneer, but are not stock). I’ve seen other jeepers with similar seats, though. My older 04? Cherokee seats needed to go. I dyed these a bit darker to match the Garnet Red paint color. '66: New M715? It kinda stands out in your sig! twisted frame wrote: '66: New M715? It kinda stands out in your sig! Hahaha, nice attention to detail. I’m heading to Montana tomorrow AM for 91 Dodge 1 ton axles for her. I found the ad on the local CL for a buddy who always wanted one awhile back ago, but his plans changed, so I thought I’d tinker with it... like I need anything else to do. Let me guess - the M715 was the tree company's stump pulling machine!?! twisted frame wrote: Let me guess - the M715 was the tree company's stump pulling machine!?! Haha, maybe!? Probably!? 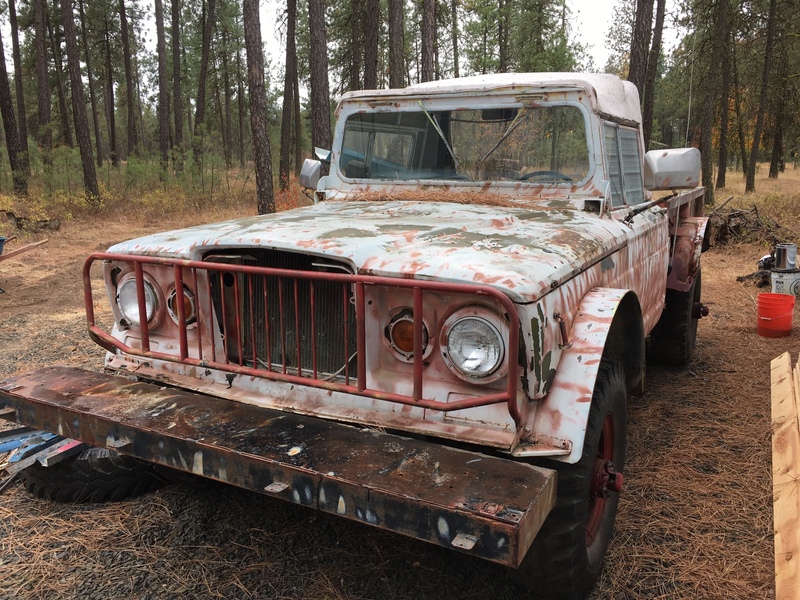 It was a ranch/farm truck for the past 20 plus years, when the owner passed away, the family had to sell off everything on the ranch/farm prior to his property selling. 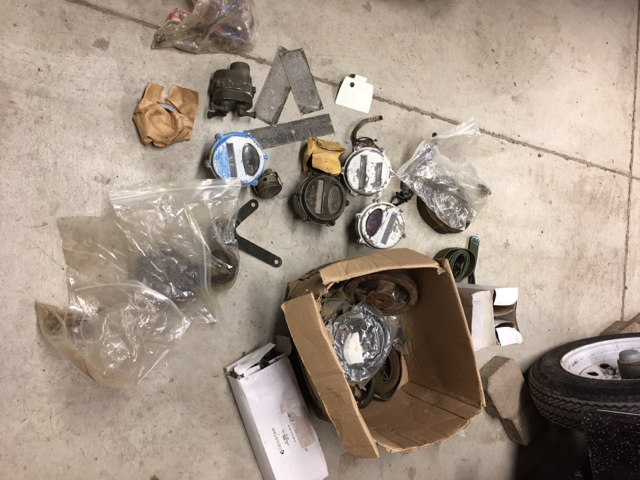 In addition to the axles today, the guy tossed in a box of military parts. Not sure what is M715 and what is not, but most of the electrical stuff is 24 volt. It will be painted in a snow style cammo once it gets to that point. 3.54 gears, so the dodge must’ve been an automatic as the manual came with 4.10 gears, I so I believe. What's going on with the missing sheet metal in the center of the radiator support? That looks vaguely familiar...is it they way it is on M715s for some reason? 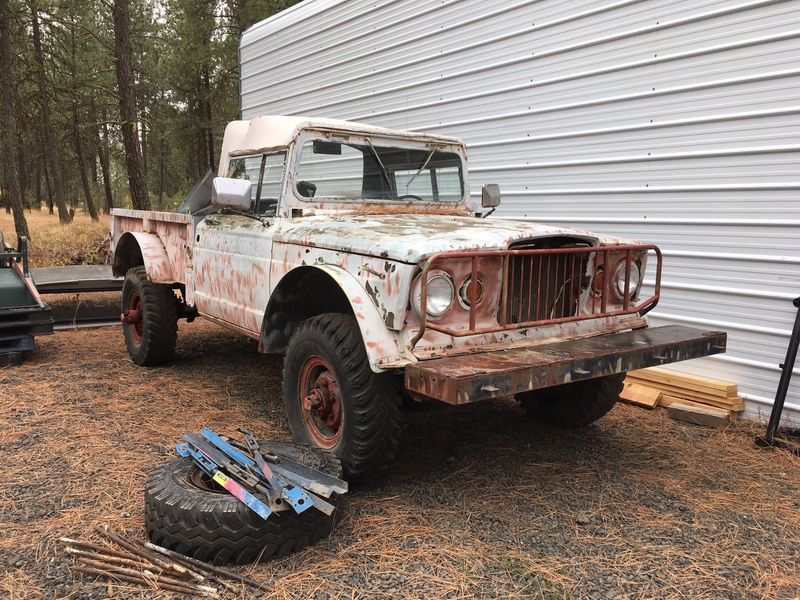 Perhaps this is a ways off, given the crew cab project going on now, but are your thinking improving the ride at all or are you going to perch the stock springs on those new axles? Is there any chance you would use the M715 front clip and bed on the crew cab project? Just curious. I think someone cut the center support piece out. I have several spares, so I’ll either graft a piece in, or replace the whole thing light years down the road. 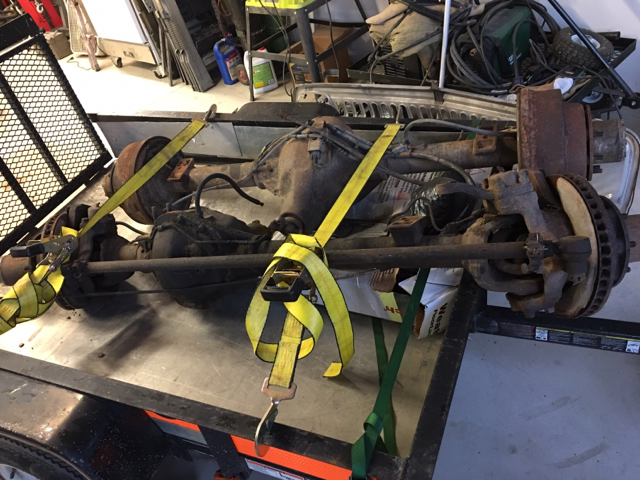 The 1 ton axles will sit on the old springs, or so I hope. It will be interesting to see how it all works out. I’m on the M715 Zone site and I’m soaking up their knowledge daily through research. I have a another truck. A J4000 coming that is going to cough up parts for the quad cab build, and the M build. It’ll get torn down when it arrives. I plan on keeping the quad cab build standard J truck looking Thriftside- but, like everything else, it’s subject to change as it evolves! Haha. 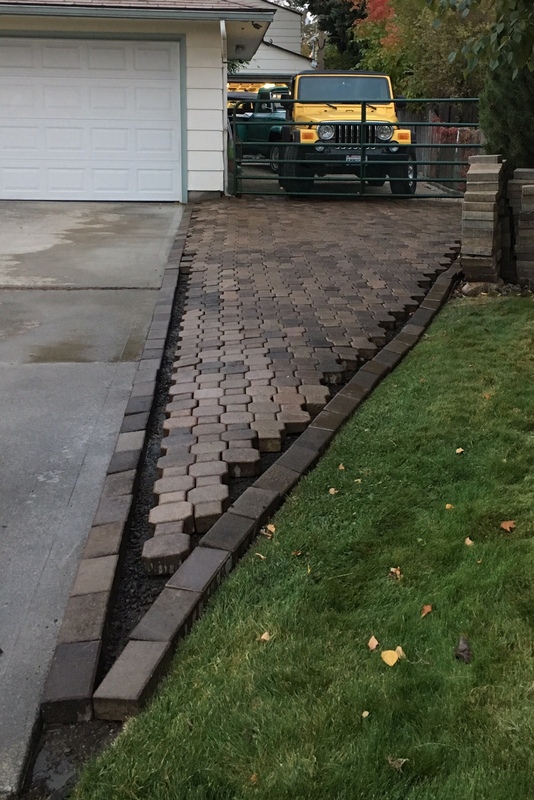 I’ve been busy with selling/trading off excess parts locally, and regionally, and laying pavers down on the side drive that leads to my shop. Plus, I’m helping a buddy add an addition to his shop so he can store his firewood in a dry area. I’ve cut down the brick for 1/2 of the edges, and I’m slowly working on the other 1/2- slow and steady wins the race.